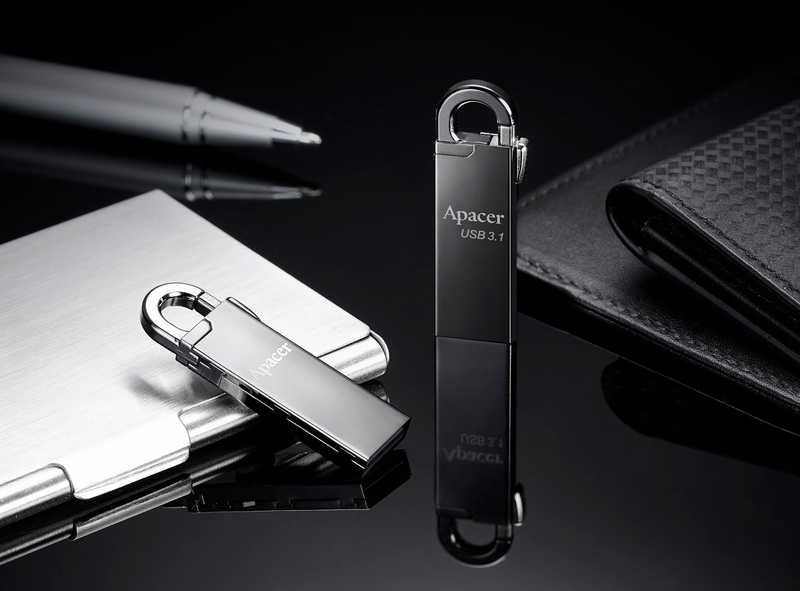 Introducing the brand new AH13A/AH15A “Snap Hook” USB flash drives, Apacer features a patented metal hook that can be conveniently operated with just one hand. The extended length of the body is designed for easy handling, and the metallic casing provides protection to the exterior. Built with waterproof, dustproof, and shockproof features, your data will be protected against various accidents in the common environment. 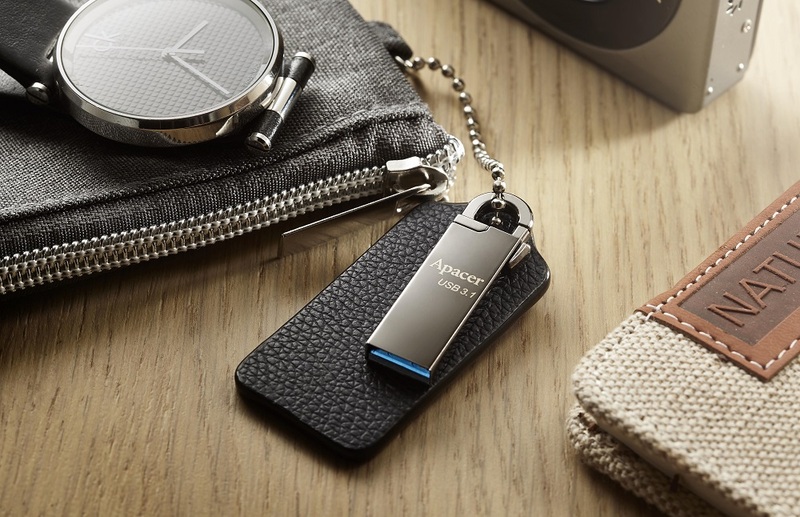 In addition to its robust protection, the maximum capacity of AH15A can reach up to 128GB, realizing portable large storage. 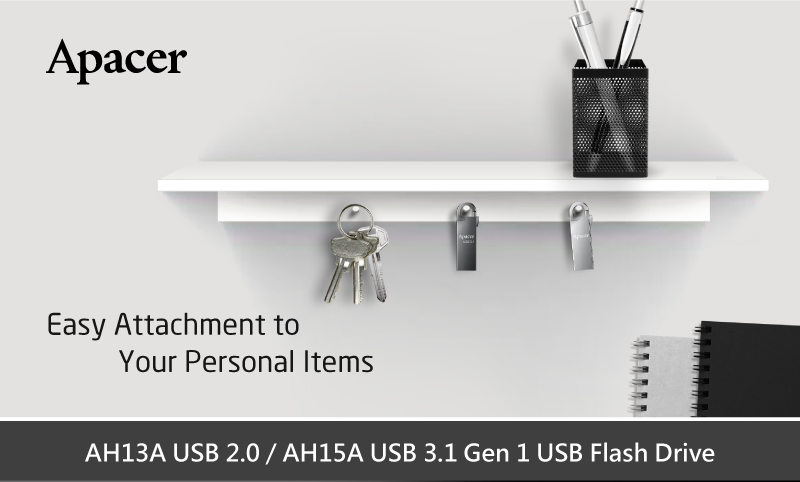 Apacer AH13A and AH15A USB flash drives are sleekly designed with a snap hook to offer the best of convenience. Just press down the button, it can easily attach to any metal ring on your handbag or keychain as a personalized accessory. The length of the body is built to offer an ergonomic grip, making attaching and detaching actions smooth and easy. Thanks to the cap-less design, users can insert or remove the connector into any port handily, without ever worrying about losing a cap. The adoption of metal finish exterior characterizes AH13A, in mirrored silver, and AH15A, in black nickel with a futuristic and stylish look. The product design also takes into consideration knocks, drops, and spills. 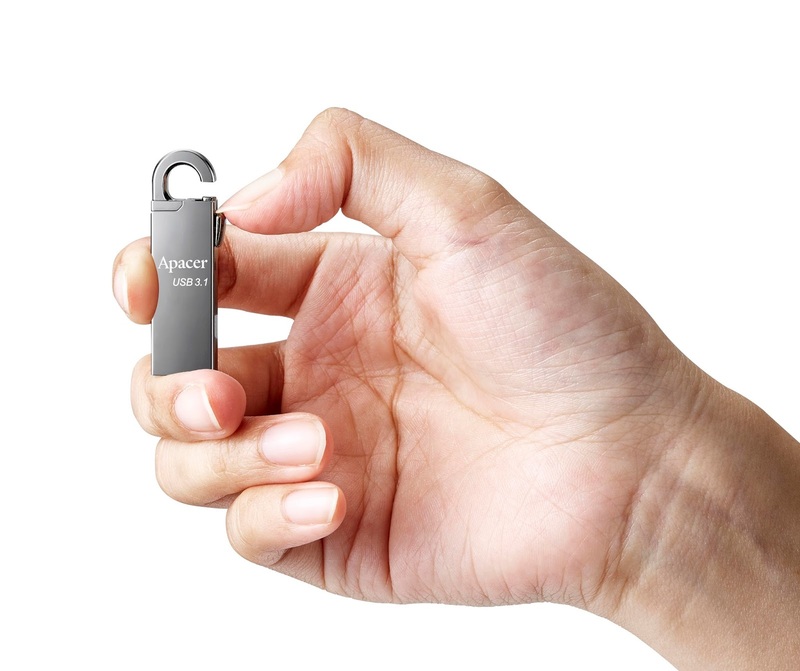 The COB (chip on board) assembly process ensures these flash drives come with all-round protections against water, dust, and shock. Users can rest assured that the stored data will stay protected. AH15A is a USB 3.1 Gen 1 offering high speed transfer to efficiently shorten read/write process, and AH13A, a USB 2.0, has excellent compatibility. Both come in capacities of 8GB, 16GB, 32GB, and 64GB. AH15A is also available in 128GB, which can house up to 33,000 images, 30,000 tunes, or 30 hours of high resolution videos. Want to enjoy digital life anytime and anywhere? Just take AH13A and AH15A with you!